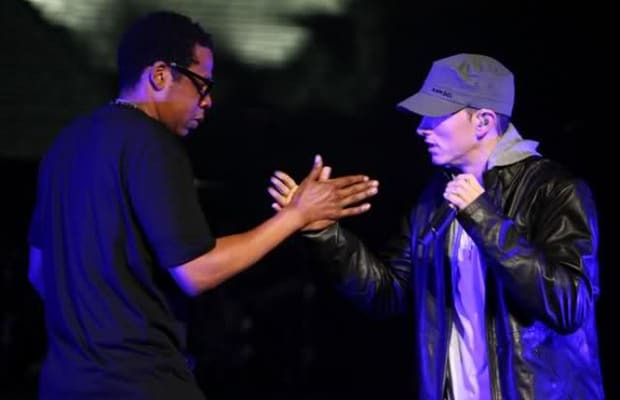 Whenever one rapper reaches out to ask another to guest on their song, they risk getting stuck in a Catch-22. There's usually genuine respect there—unless the feature was mandated by the label. But either way, you don't want your guest turning in a lackluster performance since that wackness reflects badly on you. Then again, you don't want anybody jacking your spotlight either. As Fat Joe recently explained to us, "Every time you’re rapping with somebody, it’s like a competition, but it goes without being said." There are times, as with Jay and Biggie on "Brooklyn's Finest," where two MCs go hard and the result is a win/win. But in an industry of machismo and status symbolism, something's got to give—and sometimes dudes just get outrapped.